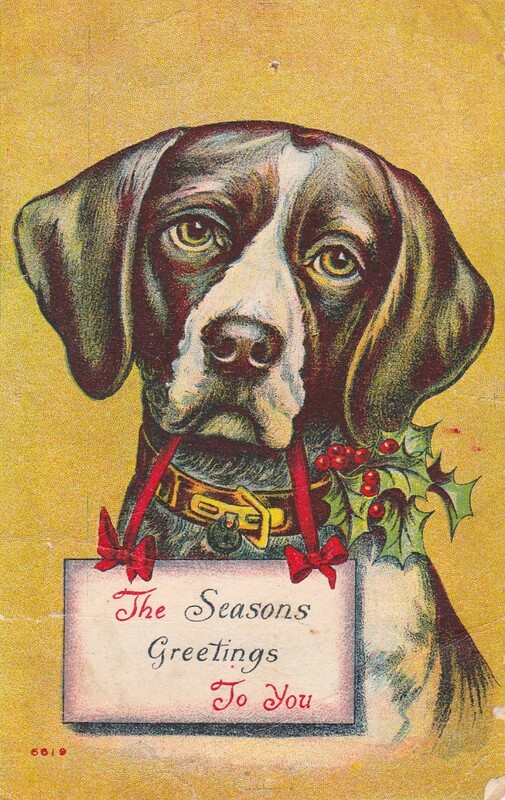 I am branching out to review and suggest a few books for your holiday gift giving season. As stated in a previous foodie-book post, I will intersperse my typical holiday posts with some literary offerings. Recently I highlighted some foodie memoirs including Paris in Love, The Mother-in-Law Cure, Blue Jelly and My Kitchen Year. All of these books dealt with some sort of life changing event like living abroad, a bad break-up or a career change. All of these issues were met with quite a bit of humor in the authors’ self reflections. Not to be Debbie-Downer today, but I could not leave today’s books off my gift-giving list because they are all some of the best I have read. I highly recommend these even though the themes are a bit darker, but (spoiler alert) in the end the authors all overcome their obstacles, some of which seem insurmountable. 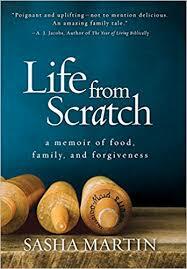 Some culinary-centric memoirs are all about the food and recipes. Some are about the lives of the authors, all of their heartache, trials, tribulations and triumphs. From the first episode of Fechtor’s debilitating brain aneurysm to the subsequent health related setbacks, I found myself rooting for her. So, so many things happen during her recovery I don’t know how she survived with such a positive outlook. Even as she was having her final surgery, I kept waiting for the other shoe to drop. Obviously, all is well now with Fechtor’s publication of this book. Fechtor also writes on her blog, Sweet Amandine. This work is truly a tale of survival and optimism and hope. You can read a more detailed review with recipe here. Because she has settled in Tulsa, Oklahoma, I consider Martin a local writer. She has the whole food blogger thing going for her, too. Martin created her blog, Global Table Adventure, to chronicle her Julia/Julie-like quest to cook meals from 195 countries. She broadens her family’s palate with a host of treats and a few near disasters. Martin begins her tale by explaining why she doesn’t have fingerprints on two of her fingers. It’s because she grabbed an open broiler at the age of two. This event marks the first time that child services were alerted. That Martin triumphs over abandonment (more than once) and personal tragedy to forgive her mother should be a lengthy tale. Admiringly, she deals with this through her cooking and food. Ultimately, Martin is a much more forgiving person than I. For a full review and recipe, click here. I was told by someone who is somewhat of an expert (the aforementioned Sasha Martin) that The Glass Castle is one of the best memoirs ever written. I would say it might be the most honest. It is definitely the most heartbreaking. 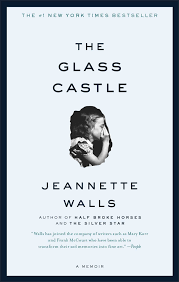 Walls chronicles her less-than-orthodox upbringing by an artistic mother who promoted independence among her children (perhaps too much independence as they were often left to survive by their own devices) and a genius of a father who promoted free thought and debate. He seemed always on the verge of greatness with some invention or another. Unfortunately, his alcoholism kept him from ever providing more than a subsistence existence. Her tale is truly one of survival and sometimes borders on horrific. I am amazed that she and most of her siblings escaped and “made it.” I am also amazed that child welfare NEVER stepped in. It is the best memoir I have read since Cherry by Mary Karr. It definitely describes an upbringing of want where families often survived in food deserts. It’s quite topical at the moment with the recent film adaptation (August 2017) starring Woody Harrelson, Naomi Watts, and Brie Larson. I am linking to December’s Foodies Read. 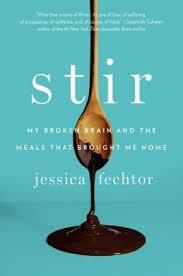 What’s the best memoir you’ve read (foodie or otherwise)? Stir was one of my favorite books from 2017. Great list! It was up there for me, too. I enjoyed your reviews — however, generally, I like memoirs, but the childhood disaster and then recovery genre doesn’t appeal to me so much. I like the ones about people who later accomplished something big — like Julia Child and Alice Waters, whose books I read recently. Or Darwin’s account of the voyage of the Beagle. Or quite a few food memoirs. Glass Castles was amazing. I also read and love Half Broke Horses. Merry Christmas Deb. Looking forward to a new year of books. I want to get Half Broke Horses and I want to see the film (but am afraid I might be disappointed).